Lighting for channel letters can be achieved through either neon or LED, depending upon your signage needs and landlord requirements. Because of their elegance, reverse channel are commonly used when a prestigious or sophisticated image is needed. 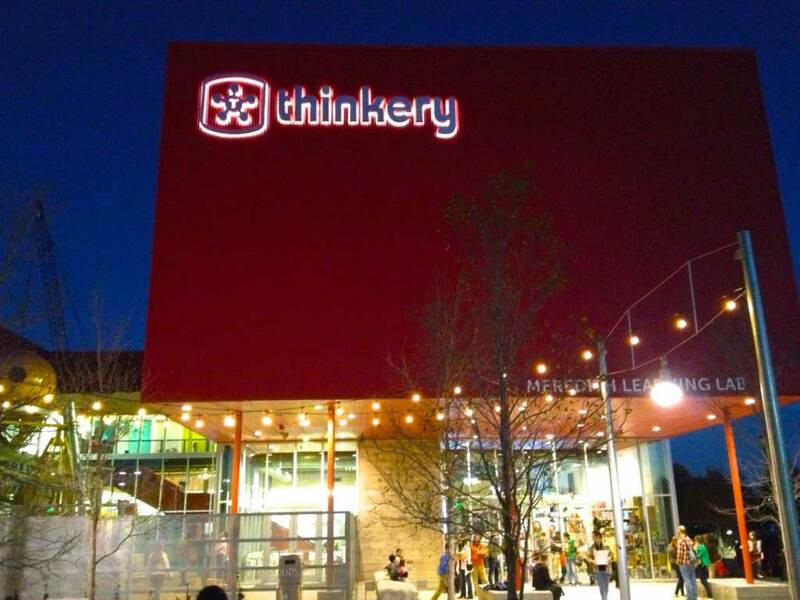 The Thinkery describes itself as “an evolution of the Austin Children’s Museum…Austin’s sparkling new home for ‘why’ and ‘how’, […and] a foundry for a new generation of innovators and creative problem solvers.” Being a cutting-edge space that goes beyond a regular museum, they needed a “sparkling” sign to go with their new image, and reverse channel letters were the ideal solution. 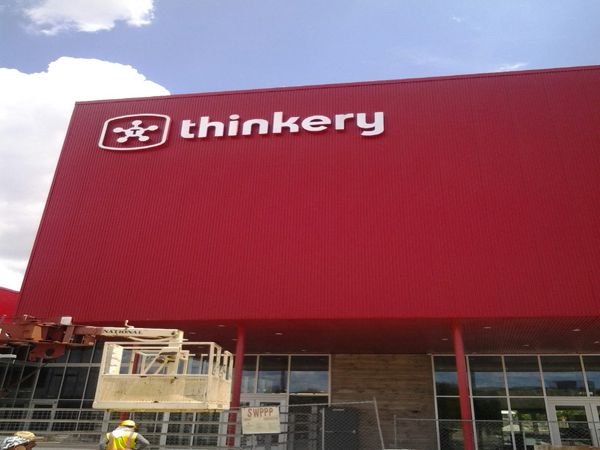 CND Signs developed The Thinkery’s sign, from a concept drawing on paper to the actual installation on the bright red 40,000 square-foot building, located on 1830 Simond Avenue in the Mueller development. 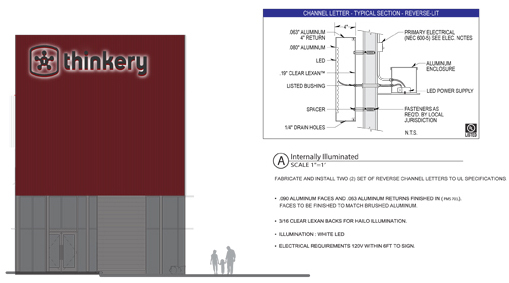 Plans included exact dimensions for every square inch of the reverse channel letters sign, as well as specifications for the lighting system. Learn more about CND Signs & Printing channel letters or call us at (512) 394-5421 for a free quote. 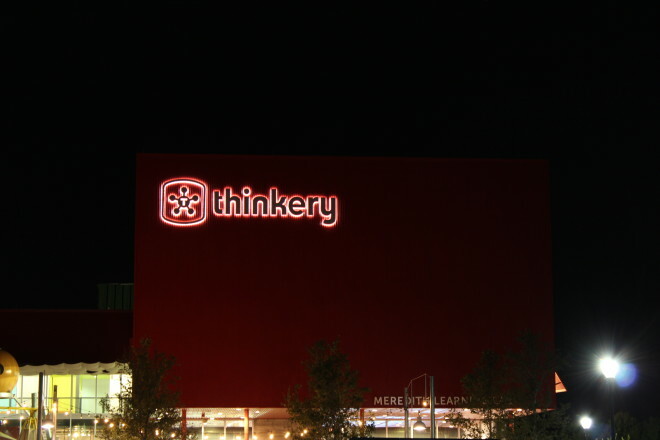 For those businesses who want to literally put their name up in lights, reverse channel letters are a great option! See more reviews at Google… Write us a review!